This article is the final installment of a three-part series, featuring an exclusive interview with Victor V. Shalaj and Valery I. Trushlyakov, reporting their research on space safety and sustainability. Read Part 1 here and Part 2 here. The Volga (Fregat) upper stage with engine RD-0162 (Credits: TsSKB). Approaching the space debris problem by mitigating future debris creation might not resolve the issue because of the large number of objects already orbiting at altitudes where natural de-orbiting due to atmospheric drag or other factors simply doesn’t happen or takes a very long time. These debris have potential to collide with each other or with active satellites, causing a cascade effect known as Kessler’s syndrome that will eventually make the situation unbearable. In short, remediation is called for. Valery Trushlyakov, professor of Omsk State Technical University, after addressing the mitigation issue with the ADOS system, also considered a strategy to approach the remediation problem. He explained that to invert the increasing trend and decrease the risk of a cascade effect, at least 10 tons of debris per year should be removed. Therefore, considering also other factors like inclination, altitude etc. , his team has pointed to the 2nd stage of Cosmos 3M as target of a future autonomous space debris removal mission. It maybe be called destiny that Trushlyakov, who worked for 23 years at the designing facility of Cosmos 3M, is now in the forefront of efforts to remove the same rocket he helped to put in orbit. Reusable Transport-Docking Module (RTDM) scheme (Credits: V.I. Trushlyakov). 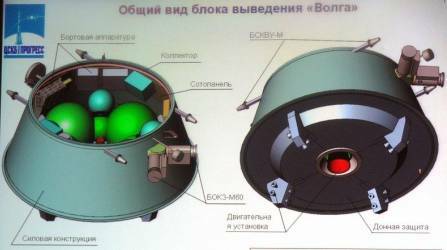 The research conducted in Omsk resulted in the design of an autonomous debris removal mission. This mission should be launched, at least initially, with a Soyuz. The Resuable Transport-Docking Module (RTDM), exploiting the upper stage Volga (or Fregat) engine’s restartable capacity to get close to the space debris. Once close to the debris, a tethered Space Micro Tug (SMT) would be released for the close approach. The SMT, with a docking system that will be directly connected in the combustion chamber of the rocket body , will attach the Volga module to the debris to bring the debris to an altitude where the atmospheric drag can de-orbit it. At that point, the RTDM will detach and continue its mission for a total of 3-4 objects de-orbited every launch before ending its mission. Scheme of near guidance, docking and then tightening to the space debris (Credits: V.I. Trushlyakov). Trushlyakov has made the first step to bring this project to the next level, creating a company “Космическая экология”, Space Ecology, that will soon compete for governmental funds in Skolkovo, the new Russian technical park sometimes compared to the American Silicon Valley. However, he’s still struggling in the search for investors and customers interested in cleaning lowEarth orbit; not easy task, as he says himself. To conclude this journey in Eastern Siberia, we have asked Professor Shalaj to give his thoughts about the current situation of Russian space and an overview on future development. Although Shalaj admits that that the present situation is difficult, due to the lack of quality control and reduction in personnel, he doesn’t see a decline in the Russian space program. In 2013/2014, Angara, a new heavy launcher, is going to make its debut and considering the large investement, he sees a future of new developments instead of pullback . Shalaj has good words for private sector potential, where he sees many opportunities for companies involved in satellite manufacturing, especially for educational satellites, but it will be almost impossible to see something similar to SpaceX in Russia within the next few years, mainly because of the lack of customers, such as satellite operators and the strategic importance of launchers along with the new reform prompted by the Russian government.